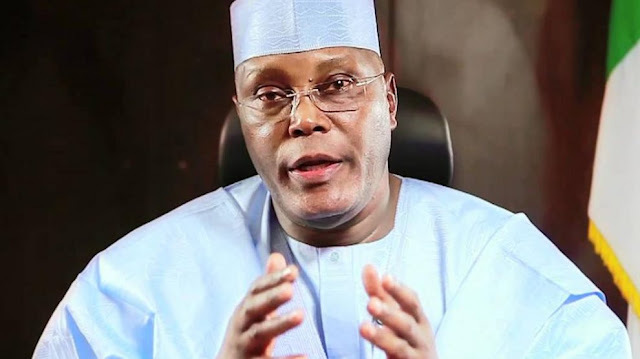 Chieftain of the Peoples Democratic Party and frontline businessman, Chief Emmanuel Iwuanyanwu has declared his support for the presidential aspiration of former Vice President of Nigeria, Atiku Abubakar. Chief Iwuanyanwu in company of other leaders of the PDP in Imo State received Atiku in Owerri during his visit to the state in continuation of his nationwide consultations with PDP stakeholders across the country. Speaking in the same vein, former Deputy Speaker of the House of Representatives and gubernatorial aspirant in Imo State, Rt. Hon. Emeka Ihedioha says that Atiku will be the best president Nigeria will have in 2019. Atiku, in company of a delegation led by the Director General of his presidential campaign organization and former Governor of Ogun State, Otunba Gbenga Daniel, visited Owerri for a meeting with Peoples Democratic Party (PDP) stakeholders in Imo State in continuation of his nationwide consultations. After a close door private meeting with Chief Iwuanyanwu, Atiku proceeded to the PDP secretariat in Owerri where he met with the State Executive Council led by the state’s party chairman, Barrister Charles Ezekwem. In his remarks, Atiku commends the warm welcome he and his entourage received from supporters in Imo State. He said that his aspiration to become president in 2019 is borne out of his belief that Nigeria deserves a more competent leadership. “Today our country is at a critical condition. The economy is not working as expected and millions of jobs have been lost. There is so much division everywhere and we need a leadership that can unite the country. “If I secure the ticket of our great party and subsequently elected president, I am ready to listen to and appreciate the feelings from every part of the country. These are the challenges we face today and I am very humbled by the endorsement from leading party members from this state to my aspirations and I am even more determined in this mission to restore the country to prosperity and unity,” Atiku said.